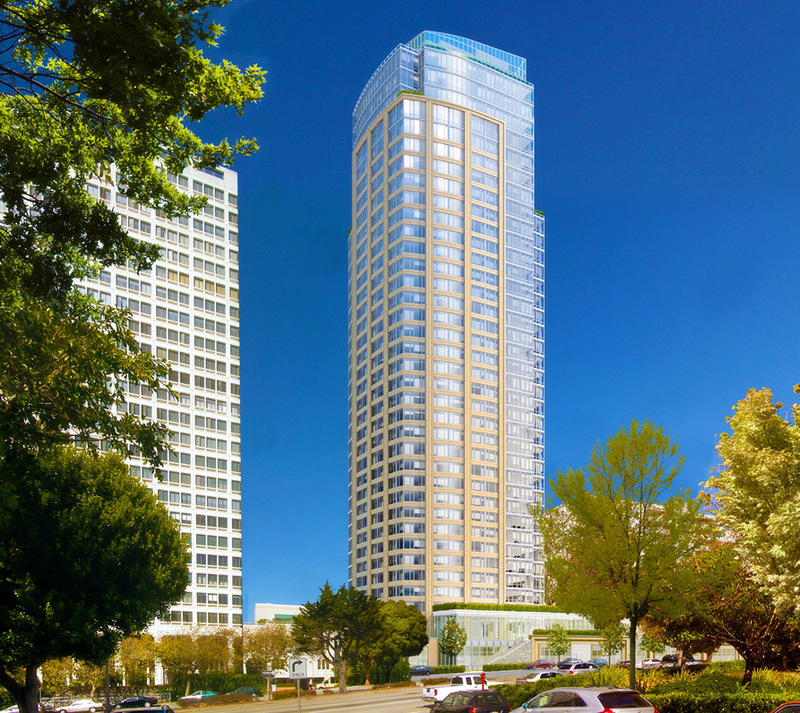 VIDEO: Grand opening of The Pacific condos at 2121 Webster on September 15. The period before Labor Day is typically a slow time for real estate. But this year was a lot busier, thanks to new condominium buildings that have been opening across San Francisco’s northern neighborhoods. 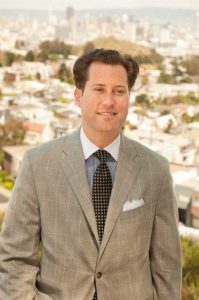 There were 32 condominium sales in Cow Hollow, Lower Pacific Heights, Pacific Heights and Presidio Heights between mid-August and mid-September — almost three times as many as the same period last year. Three more units recently sold at the LuXe, a seven-story, 34-unit building at 1650 Broadway between Van Ness and Franklin. Two nearly 1,500-square-foot, three-bedroom condos in the building sold on the last day of August, one for $2.1 million and the other for $2.5 million. Also that day, a three-bedroom penthouse in the building fetched $5.1 million. The Pacific, another new building located just steps from the heart of upper Fillmore at 2121 Webster Street, saw two big ticket sales recently, with two three-bedroom units selling for $6.2 million and $9 million. One of the penthouses in The Pacific has also closed, with a selling price of $11.5 million. 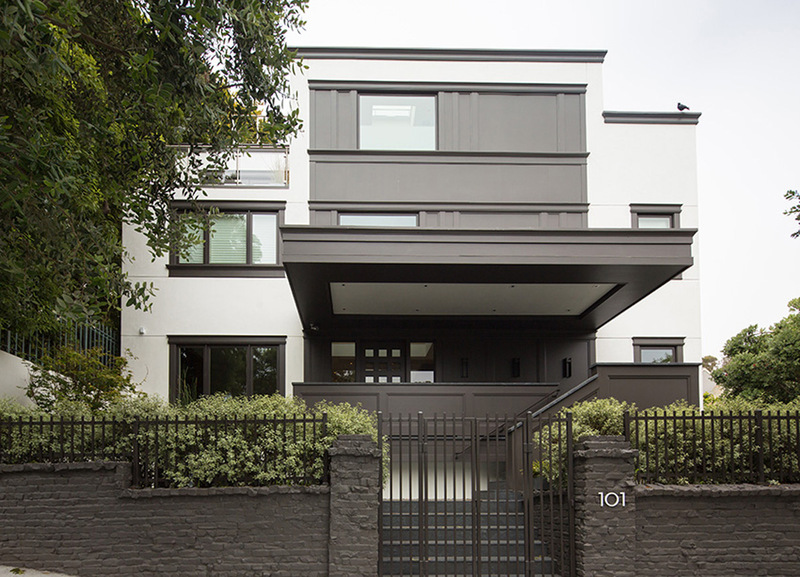 The hillside home at 2755 Fillmore sold again, this time for $13.25 million. 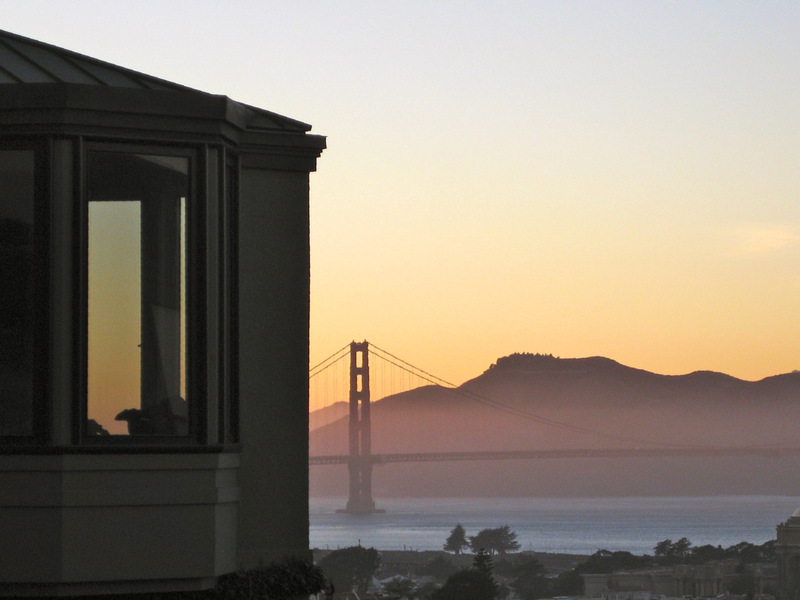 While the highest end of the housing market has been slowing in San Francisco over the past few months, buyers will still pay big prices for properties in prime condition in locations that also offer top-shelf views. Such was the case with 2755 Fillmore Street, which sold for its asking price of $13.25 million in late July. Many industry insiders were surprised at the high price, given that the home traded less than three years ago for around $10 million. To put the most recent sale in perspective, it netted nearly $2,600 per square foot — a big number even in Pacific Heights, where single-family homes sold for an average of about $1,700 per square foot during the last year. The four-bedroom, 5,142-square-foot home, extensively renovated in 2013, has a contemporary design and showed well during open houses. But perhaps its biggest selling point is its view of the bay, Alcatraz Island, the Palace of Fine Arts and the Golden Gate Bridge. Even in a market gradually normalizing after a frenetic few years, a sale like this demonstrates that the luxury segment remains resilient. Patrick Barber is president of Pacific Union. 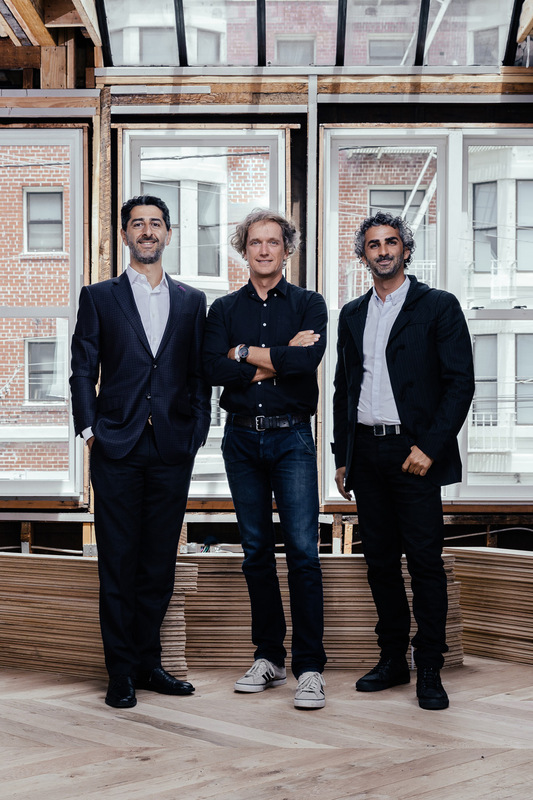 Partners Steve Mohebi, Yves Behar and Amir Mortazavi in their new space at 2193 Fillmore. A NEW SHARED “forward-thinking workspace” with refined aesthetics and upscale amenities is in the works in a long-vacant upstairs space at Fillmore and Sacramento. Expected to open in September, Canopy will offer shared tables, a personal desk or a private office in an airy space with communal areas and conference rooms for a price: $650 to $4,000 per month. The concept of “workspaces located in the heart of where people live” is the brainchild of industrial designer Yves Behar, developer Amir Mortazavi and investor Steve Mohebi, all of whom live nearby. 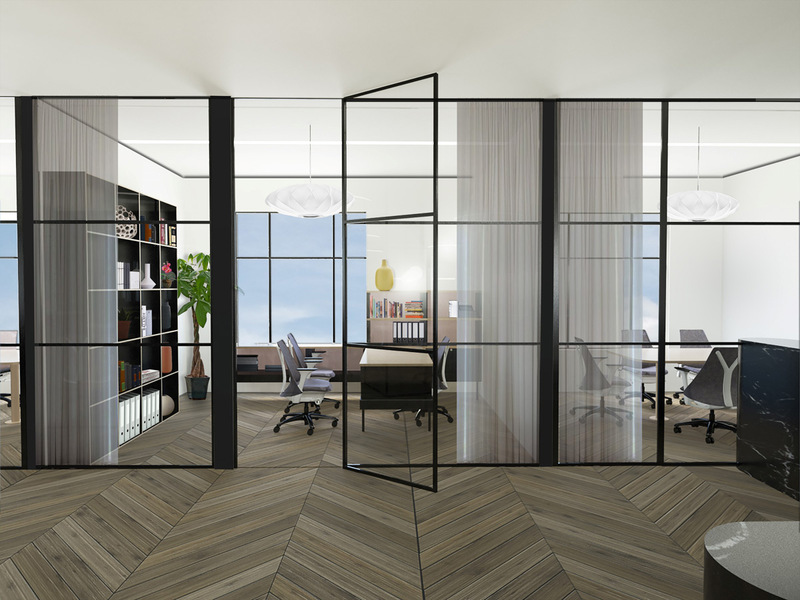 Canopy will offer shared tables, personal desks and private offices (above). Many of Behar’s own designs will be featured, including his modern office furniture for Herman Miller, his Juicero Press juicer and Sodastream sparkling water. Jane on Fillmore will do the catering, and there will be Sight Glass coffee and Pique tea. While Fillmore is the first Canopy location, the founders hope to expand the concept to other locations throughout the country and eventually around the world. Mortazavi pointed to the many desirable aspects of living in Pacific Heights and to Fillmore’s restaurants and boutiques. 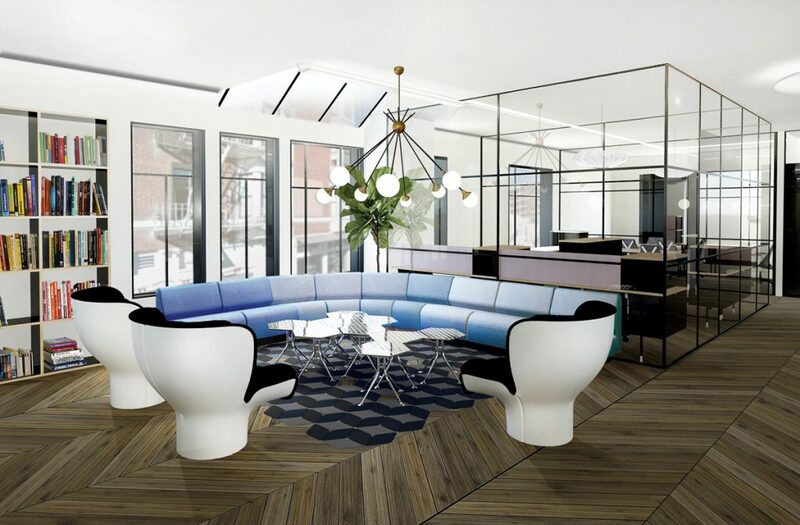 Canopy’s shared workspace will feature furnishings designed by Yves Behar and others. The 14-bedroom chateau replica at 3800 Washington Street sold in a foreclosure sale. 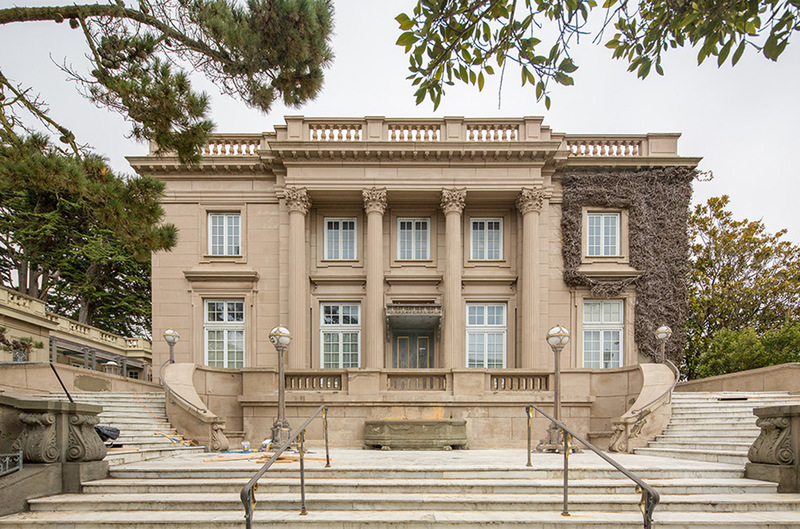 The recent sale of the mansion known as the Petit Trianon in Presidio Heights highlights the importance of realistic pricing and proper maintenance, while another sale just a block away underscores that today’s high-end San Francisco homebuyers gravitate toward modern architecture. In mid-July, the 14-bedroom, 20,000-square-foot French chateau replica at 3800 Washington Street sold for $15,750,000 in a foreclosure sale — 12 percent less than the listing price. It took 442 days to find a buyer. Designated as a national historic landmark, the home sits on three lots totaling almost 29,000 square feet in one of San Francisco’s most desirable neighborhoods. However, the grand home had not been staged to showcase its livability, its exterior and grounds were in disrepair, a squatter had taken over the guest house and skateboarders made the marble steps their personal park — all of which substantially reduced the home’s curb appeal. Additionally, the property had been overpriced in multiple sale attempts over the past few years. Despite the long marketing time, arranging tours proved difficult. And at least one offer higher than the final sale price was not accepted. The contemporary home at 101 Maple proved to be more desirable. Compare that sale with neighboring 101 Maple Street, which fetched just under $10 million at the end of June. That five-bedroom home sits on a single lot about one-tenth of the size of its neighbor and sold in a relatively speedy 54 days. The Maple Street property resonated with home shoppers due to its sleek, contemporary design and open floor plan, which are favored by many of today’s younger San Francisco homebuyers. 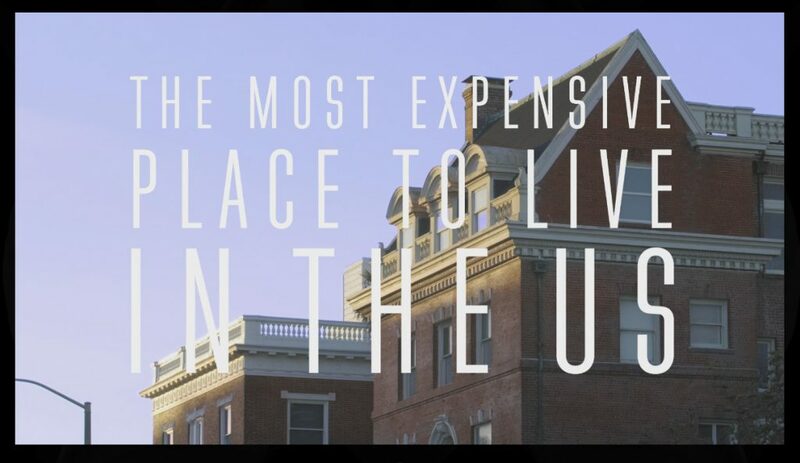 “It would be impossible to do better” than Pacific Heights, claims a promotional video. Real estate rumors are rampaging in Pacific Heights about the new luxury condos being built at 2121 Webster Street, formerly a dental school, now christened The Pacific. • Evan Spiegel, the 26-year-old CEO of the hot new social media site Snapchat — youngest billionaire on the Forbes 400 and the main squeeze of Australian actress Miranda Kerr — bought all four grand penthouses for $58 million or so and is combining them into two huge homes that open onto one another. • Peter Buffett, son of mega-investor Warren Buffett and a former resident of the neighborhood — and a songwriter, composer and creator of commercials and logos for MTV and CNN — scooped up two grand penthouses to link into a single aerie with a killer view. • Actress Michelle Pfeiffer and her television writer-producer husband David E. Kelley (L.A. Law, Ally McBeal, Boston Legal, among others) bought two grand penthouses and are moving up from the Peninsula to the city. • Actress and social crusader Susan Sarandon toured and purchased; superstar Gwyneth Paltrow stopped by for a look. The home at 200 Laurel Street sold for almost $10.3 million, or 114 percent of the listing price. Bidding wars remain a fact of life for San Francisco home shoppers. Single-family homes in the city sold for 108 percent of the original listing price in the first quarter of 2016, according to data from the multiple listing service. This trend has been dominant in Presidio Heights, where a shortage of homes for sale is ensuring that sellers in the neighborhood get a premium. Through April 15, there have been three single-family home sales in Presidio Heights this year, including two on April 8: 3737 Jackson and 200 Laurel. The Jackson Street home sold for $4.5 million — 104 percent of the listing price — while the Laurel Street home fetched nearly $10.3 million, or 114 percent of the listing price. Even with those big price tags, both homes quickly found buyers: 3737 Jackson in 15 days, 200 Laurel in 10 days. The only other Presidio Heights single-family home sale this year sold in two weeks for 140 percent of its original listing price. 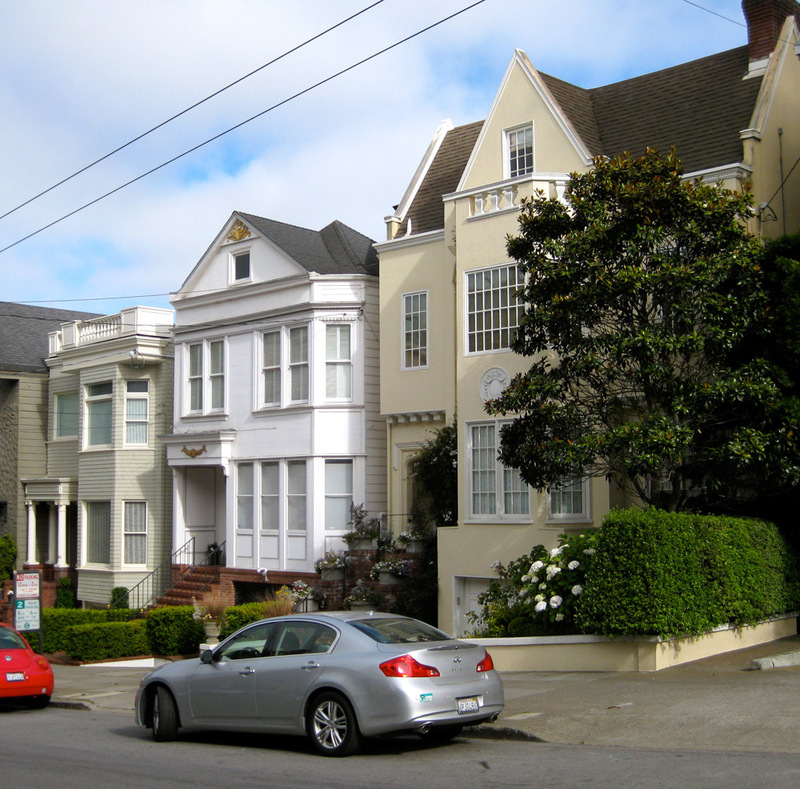 It’s worth noting that there were twice as many home sales in Presidio Heights last year from January through mid-April. Even so, given the neighborhood’s relatively small size and high desirability, four of those six homes sold for more than the listing price. Shop owner Claudia Volpi says Superga is a perfect fit for San Francisco’s casual vibe. And she’s hoping the sporty “People’s Shoes of Italy” will soon become common footfare for Fillmore residents as well, now that the doors to her new boutique are open at 2326 Fillmore Street. The shoes — slip-ons, tie classics and hi-tops for women, men and children — look fresh and modern. But in fact, their origins hark back to 1911, when an entrepreneur in Torino, Italy, Walter Martiny, had the idea of using vulcanized rubber to make waterproof boots, revolutionizing footwear for the agricultural workers there. In later years, the shoes evolved to become tennis wear with carefully crafted cushioning and support — and then fashion statements when leather, wool and silk and thicker soles and wedge heels were incorporated into the designs. Volpi says she has worn and loved Superga shoes since she was a little girl, and she has the evidence to prove it: a picture of a slightly tattered red pair she wore back in the day, later worn by each of her three children. Both 3003 Jackson (left) and 3007 Jackson (right) sold over the asking price in 12 days. A pair of recent single-family home sales in Pacific Heights illustrate that properly pricing a home for sale can pay off on multiple levels. In the 3000 block of Jackson Street, two properties that are practically next door to each other changed hands in early June, with the transactions and homes bearing some similarities. On June 5, 3007 Jackson Street — a six-bedroom home built in 1918 — sold for $6.55 million. Less than a week later, the nearby 3003 Jackson Street — a five-bedroom home built in 1891 — found a buyer for $5.63 million. Both homes sold in a brisk 12 days — about three times faster than the neighborhood’s pace of single-family sales in May. And both sold for between 6 and 8 percent over the original asking price. 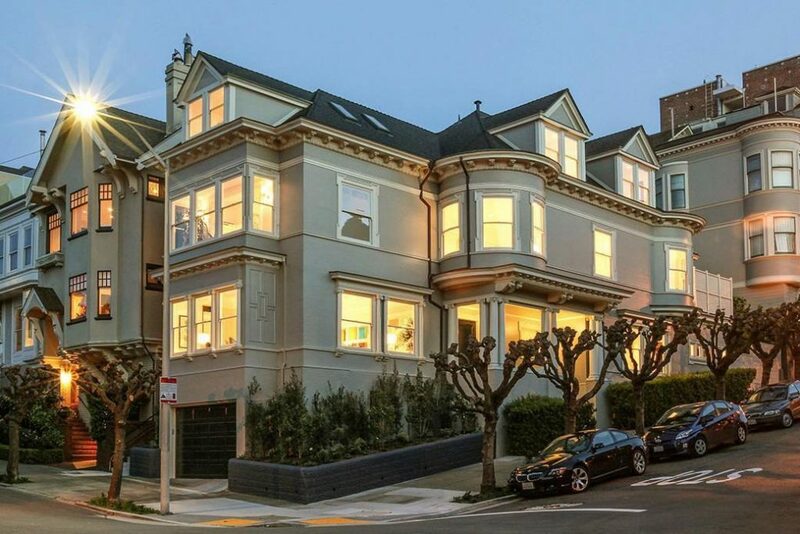 The $5 to $7 million range represents a “sweet spot” for home prices in Pacific Heights, and there was no shortage of qualified, motivated buyers interested in both Jackson Street homes. Because these two homes were carefully priced, the owners were able to make speedy sales and pull in some extra money in the process. The frenzied overbids that characterized neighborhood real estate in the first half of 2014 began to subside in the second half — one sign that the San Francisco housing market could move toward a more balanced state in the coming year. 1 percent below original list price. More sellers reduced home prices in the second half of the year, which likely helped to increase the number of deals that closed. In the first two quarters, 45 single-family homes in the neighborhood changed hands. Between July 1 and the end of November, 52 homes had already sold, with a month still remaining in the year. Looking ahead to 2015, expect more home price appreciation, though perhaps at a slower rate than during the past few years. Inventory is historically tight in January, so buyers will continue to have limited choices. Savvy sellers, however, might take advantage of this window and put their homes on the market.